Copter getting up above the city dump. 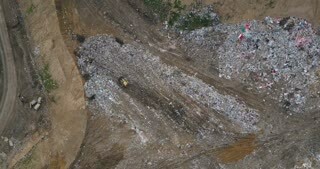 Aerial panoramic view of trash, sanitation vehicle and waste recycling factory. 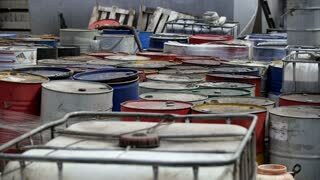 Aerial view of the pile of trash. Copter flying away from the urban dump outside the city, big pile of dirty waste. Copter turning around the city dump and waste management plant. 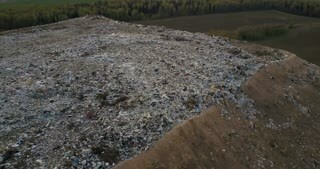 Aerial view of the pile of trash outside the city. 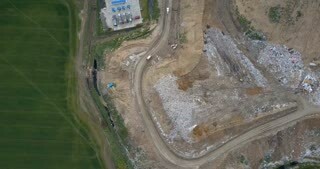 Aerial top view of the garbage dump and waste management plant. 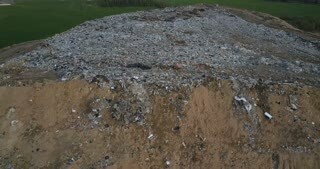 Copter flying over the big pile of trash. 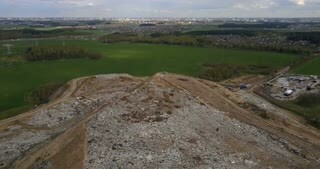 Aerial top view of the garbage dump and waste management plant. Copter flying over the big pile of trash and factory. 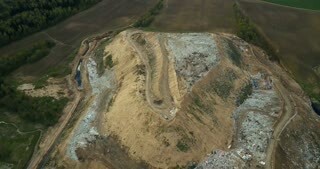 Aerial view of garbage dump and waste management plant. outside the city. 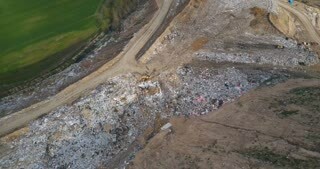 Copter moves around the big pile of trash. 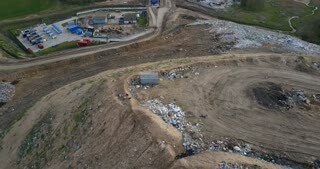 Aerial view of the urban dump and waste recycling factory. Copter flying over the big piles of garbage trash.